When it comes to applying for loans, self-employed individuals feel a bit apprehensive about the entire process. At times, it becomes difficult for them to prove their credibility, repayment capacities, or declare assets. As a consequence, they fail to get positive responses from good lenders. However, things have changed to a great extent. Self-employed individuals too can look forward to getting loans from both, non-traditional and traditional sources. It is not even difficult to prove their eligibility, offer the right documents, and specify loan application requirements. Quite a few specialist and reputed lenders in the market offer perfect loan options for the self-employed. You can get in touch with them directly, specify your needs, and get fast loans. Can you meet the standard documentation criteria prevalent for general personal loans? If you can, then you will get a personal loan for self-employed quite easily. These types of loans don’t demand many documents. Obviously, such low doc financing can be more expensive compared to traditional options and also carry hefty fines that can quickly spiral your financial condition out of control. Assess, research, and take the time to think what to do. You have all the plans right in front of you; hence making a choice won’t be that difficult. If you feel compelled to enlist the services of a reliable financial advisor online, that too could be arranged pretty easily. What’s the term or period for your loans? You will get financing on terms of 6 months to 5 years. Always opt for the term periods that work for you the most, and specify them before making loan applications. Self-employed individuals should have a complete idea of the documents required in the loan application process. 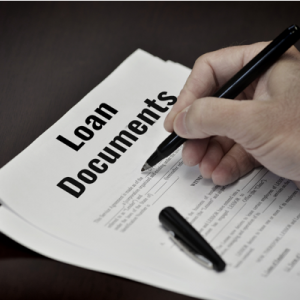 Documentation proves your credibility and can help you get loans faster. That’s the reason you should prepare and arrange for the below documents at the earliest. It is imperative to offer proofs in support of your income. Financial statements include complete information on profit and loss. If you own a company, make sure you have fully documented copies of the tax returns. These documents will reflect your tax payments over the last two years as well as support your income declarations. 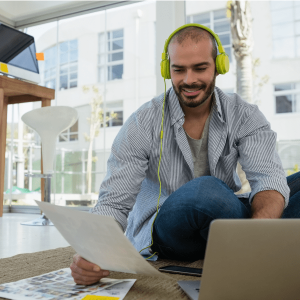 As a self-employed person, you might be generating income from rental sources. You will have to present necessary documents supporting these incomes. Financial statements from these sources will help you in this context. How many transactions did you make in the past few months? What was the volume of these transactions? The lenders will be interested in these details. Keep your bank statements ready and handy! These are some of the essential documents that play the pivotal role in the loan approval process. You have to prove your identity and support your claims with necessary documents. PAN card and Aadhaar card will be crucial documents to keep ready when applying for a loan. Do you own a business? Then make sure you provide important company information like address, PAN, GST number, and tax filing records. These tips will help you qualify for a loan within the shortest time span. Keep this handy guide in front of you when you are preparing a case for requesting financing for self-employed people.